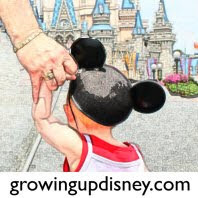 Growing Up Disney: Growing Up Disney is back on line! was replaced by another site in mid July. as we share our experiences Growing Up Disney.